Women Centred Working is an initiative to encourage the design and delivery of more effective services for women facing multiple disadvantages. LankellyChase Foundation works to bring about change that will transform the quality of life of people who face severe and multiple disadvantage. We are supporting this project because we are committed to changing systems so that they respond to the distinct experience and needs of women and girls. WomenCentre offers insight, based on expertise in working with women and girls facing severe and multiple disadvantage across a range of sectors, that can be shared in order to develop local and national agendas, and make the case for women-centred solutions. 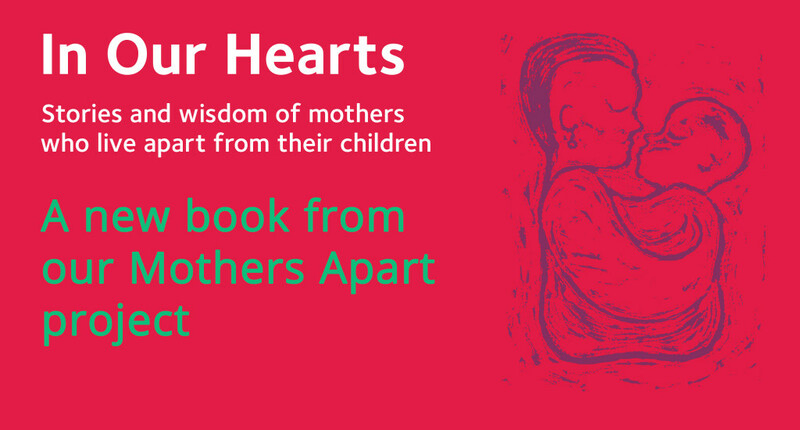 Offering local authorities smarter approaches for women and families with multiple needs? 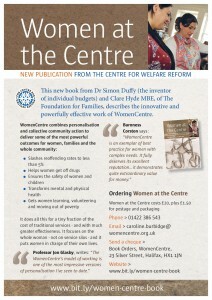 Women Centred Working has produced a new Discussion Paper for local authorities. Our new 4-page briefing answers questions about the value of women centred solutions in helping councils respond to the challenge of supporting women and families with complex needs at a time of intense budget pressure. It shows, in simple terms, how a smarter approach could help public sector partners tackle problems such as domestic violence, mental illness, substance misuse and homelessness in a more effective, joined up way. For many years WomenCentre has worked with policy makers and has informed national consultations to communicate to them the differences that women’s centres such as our own make to the lives of women who may be experiencing multiple injustices and hardships in their lives. Hundreds of women each year tell us how important it is to them that there are places like ours that feel safe, are for women only and in which they are believed and respected. Building on our organisation’s expertise in relation to women’s mental health and wellbeing, abuse and safeguarding and effective approaches for women in the criminal justice system, WomenCentre finds itself well placed to undertake its new work to scope and coordinate action in relation to women with severe and multiple disadvantage, working with the Lankelly Chase Foundation’s Promoting Social Change Network.